Static Seals are used to hold the leakage through the system depending on the application. These seals also have good wear properties as well as a favourable price/ performance ratio, a proven record of success that extends over many years. 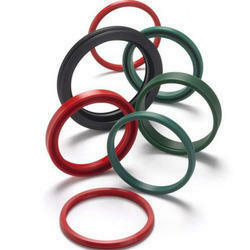 We are engaged in offering a finest quality range of Static O Ring Seals. These are developed using best quality material which we source from the reliable vendors of the industry. Our organization offers a wide range of Static Seals to our clients, which is ideal for dormant machine parts. For example in flange or duct connections, covers and high pressure fittings. 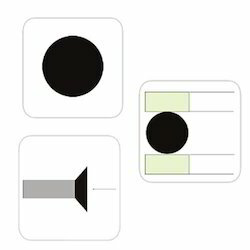 The material and design is determined by the application intended. Our range of graphite seals has an excellent chemical, temperature and pressure resistance. The SMS Inflatable Static Seal can at the customers request be incorporated into any SMS seal design and can be either Air or Water Pressure Activated. Finger spring activated PTFE Static Seal, excellent chemical and thermal resistance, mainly used on flanges, fittings or pivoting joints in chemical industry. Bonded seal is a static seal which are used as a sealing ring fitted under bolt head & nuts are used in Hydraulic & Earth Moving Machinery. Material : Viton (FKM), Nitrile (NBR), EPDM.